Acrylics dry fast which is an advantage when you want to work quickly. However, it’s frustrating when your paint dries on the palette before you have a chance to use it. 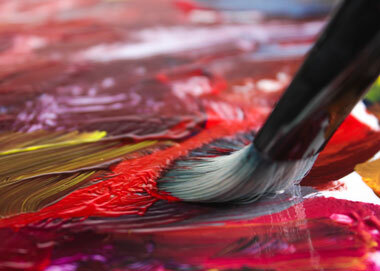 Below are 8 tips that will help you to keep your acrylic paints wet on the palette. How do you keep acrylic paint from drying out on the palette? To keep the paint wet on your palette you can mist the paint with water, use a nonabsorbent palette, use a wet palette, or switch to slow drying acrylics. You should also try to work in an environment that’s humid but not too hot, and protect the palette from wind or indoor air currents. By far, the easiest way to prevent your acrylic paints from drying out on your palette is to switch to slow drying acrylics. There’s Golden OPEN acrylics or you can add retarder to your favorite brand of acrylic paint. When I began to experiment with Golden OPEN Acrylics, I was surprised by how long they stay wet on the palette. I’m used to having to mist the paint with water, so it was weird to not have to do that. How long these paints will stay wet for depends upon the conditions in your studio and the thickness of the paint. I’ve had OPEN Acrylics stay wet on the palette for hours while I’m painting. You can add OPEN thinner to the paint if it begins to dry and becomes tacky. You should use the thinner instead of water. Golden states that you can add water to OPEN acrylics, but if you want them to retain the slow drying properties, you should be using OPEN thinner so that it replenishes the slow drying ingredients. OPEN acrylics will stay wet for weeks if you use a palette that has a tight fitting lid. Another option is to store the palette inside of another container that has an air tight lid. Both of the palettes I recommend for acrylics work well for this. I use the peelable palette for mixing my paints. When I’m done painting for the day, I store the palette inside of the Masterson’s Sta-Wet palette, without the sponge or palette paper inside. You don’t need the wet sponge when you’re working with OPEN acrylics. 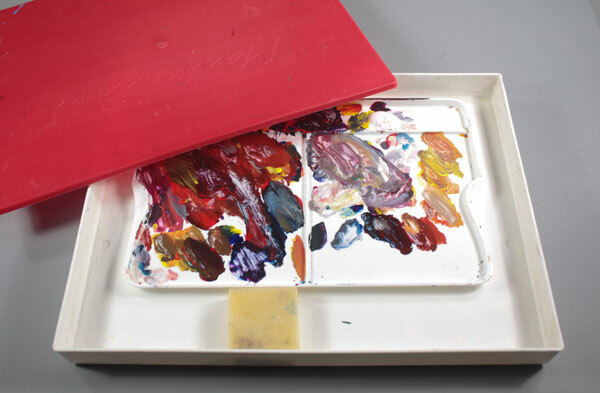 Here is the peelable palette inside of the Masterson’s Sta-Wet palette without the sponge or palette paper. I sometimes place a small foam sponge inside to increase the humidity inside of the box. You’ll want to mist your palette with water when you’re painting with regular acrylics. Acrylics dry as the water evaporates from the paint. You can replenish the water by misting the paint with the water from a spray bottle. 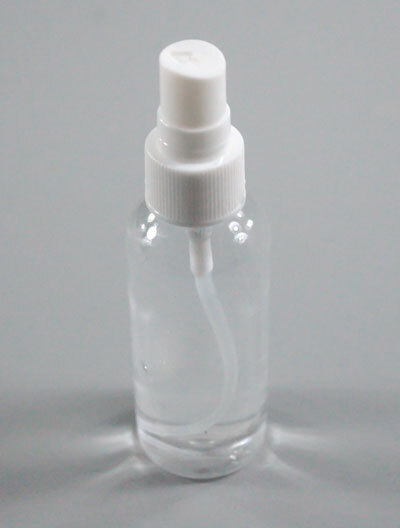 You may want to buy a couple different kinds of spray bottles to find one that has a fine spray that doesn’t “spit” water in large droplets. The small ones seem to work well. The larger ones are made for spraying cleaning products and are usually too powerful. The tiny droplets of water prevent the paint on your palette from forming a skin on the outside. The large piles of acrylic on the palette will stay wet longer than the thin layers of paint where you mix colors. You have to watch those thin areas of color more carefully so they don’t dry out. One word of caution is the paint will become watery if you mist the palette too often. This shouldn’t be a problem because you’ll quickly develop a sense for when the paint is beginning to dry up on the palette. A wet palette is a plastic box with a tight fighting lid. The bottom of the box contains a thin sponge that you place a sheet of special palette paper on top of. Regular palette paper won’t work as well because it doesn’t allow very much moisture to pass through to the paints. You can mix your paints on the palette paper. As the moisture from the paint evaporates, it pulls up moisture from the sponge. A wet palette will keep your acrylic paints wet for a week or two. After you use it for a few days, the sponge may begin to dry out. Simply lift up a corner of the sponge and pour a small amount in the bottom of the palette. You don’t want to allow the palette to sit for extended periods without cleaning it or else mold can develop inside. I haven’t had any problems with keeping the paint in the palette for a week without cleaning it. You’ll want to clean the palette out and allow it to dry when you don’t plan on using for awhile. 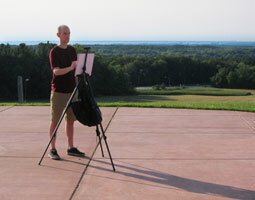 I have an in depth review of the that includes in depth instructions on article on how to use a Masterson’s Sta-Wet palette. I like to use a plastic peelable palette because it doesn’t absorb water. One issue with using pads of palette paper is it can absorb some of the water from the paint. If you cover the palette paper with plastic wrap to keep the paint wet overnight, the paper will buckle. The buckling is proof that the palette paper absorbed some of the water from the paint. Since paint dries through the evaporation of water, that means the paint on your palette is drying out faster than if the palette was made from a nonabsorbent material. The peelable palette is also much easier to clean than other plastic palettes, especially so if you clean it off while the paint is still wet.